Indian Professor Mahrukh Mirza said that the idea of achieving Islamic unity started with efforts of late Imam Khomeini. He went on to say that the main factor which threatens the achievement of Islamic unity is lack of education and unless this is not resolved, unity will never be achieved. 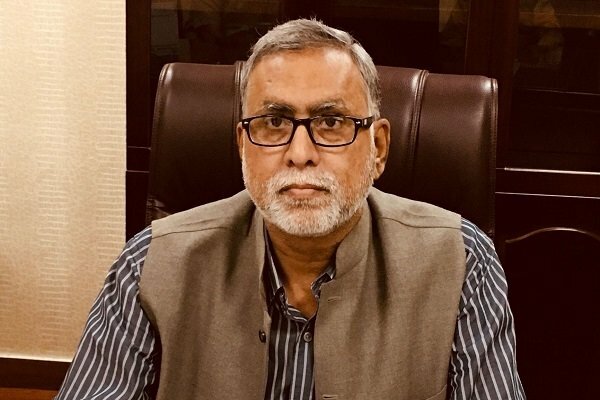 Mirza, who is the vice-chancellor of ‘Khwaja Moinuddin Chishti Urdu, Arabi-Farsi University’, made the remarks in an exclusive interview with Mehr News Agency on Sunday on the sideline of the 32nd Islamic Unity Conference in Tehran. What do you think of this gathering in general? Regarding the ‘Vahdat [unity] Week’, the birthday of Prophet Muhammad (PBUH), and the direction given by Iranian government to unite Muslims, what I want to tell you through your media is that a day will come that the entire world will embrace the Islam. You know, many Americans are embracing Islam as they reach their peak or high place because Muhammad (PBUH) is our last prophet and no other prophet will come now but only one Imam will come and take ‘Zohur’ and at that time, the entire world will be praising Islam and say their ‘Shahada’. You see the high intellectuals from America are following thoughts of religion. They may not be following Islam now but I’m sure they will do so one day; they have started using Hijab, their westernization circle is coming down and other smaller countries are also following them now. Another point is that unity among Muslims is the message of this conference – but I believe that there is still a long way to go – as far as global unity is concerned. Unity is the reason that caused Imam Hussein to give his Qurbani [sacrifice] with 72 of his companions whilst, his opposers, in the Yazid’s troops, didn’t know the true path which led to the real tenets of Islam. Who initiated this unity movement and what threatens the Islamic unity the most? Undoubtedly, Islamic unity started as a result of Imam Khomeini efforts. And very soon you will see all the countries will have to come and join their hands together, otherwise, we will be scattered. Lack of education is the main factor which threatens Islamic unity. Unless Muslims are not well educated, absolute unity is impossible. Education is different from literacy; a literate person is only capable of reading newspapers but an educated individual has wisdom and enjoys a far-sighted vision. My message to Muslims is that they must prepare the grounds for educating their children. And you see the Sunni community of Islam has also studied the message and history of Karbala. Mahatma Gandhi told if he had 72 soldiers like those of Imam Hussein he would have won the Indian freedom within 24 hours from Britain.